Myanmar is a potentially massive market for online and mobile services. It is still at a young stage when it comes to internet connectivity but strategic foreign investments in the country’s growing mobile and internet markets are creating major opportunities for social media and online payments. Myanmar has a population of over 50 million and in recent years the government has begun to open the gates to foreign investment in its networks. Previously, people were limited to ISPs that were closely linked to the state but the government has allowed a select few foreign companies to enter and build out internet services and infrastructure. Since then Norway Telenor has launched its internet services, Qatar’s Ooredoo opened up a mobile phone service in the country, and Japan’s KDDI entered in 2014, having accomplished a similar build out in Mongolia. These operators sense an opportunity. “Myanmar is experiencing a rapid move towards democracy and the market in mobile phones and fixed line communications is expected to grow dramatically in the future,” said Takashi Tanaka, KDDI president when the company launched there. Meanwhile Myanmar is crafting relations with China. China United Telecommunications Corporation will build the first undersea internet cable between the two countries. The country however continues to face several roadblocks in trying to establish strong and free internet use. The very first internet connections in the country were switched on in the early 2000s so it’s still rather nascent but more importantly, the country continues to tussle with censorship and freedom of speech. Internet penetration in the country is growing bit by bit but is still very low according to various figures – around the 2-5% mark. Despite these limitations in the country, the use of social media sites and apps has proliferated. Even though posting criticisms on Facebook and publishing political satire and criticising the government or military can possibly get you arrested. Myanmar’s general election this month has also sparked a growth in social media use all the while a gentle increase is felt in the use of mobile devices, which is feeding this usage too. But as the country is playing catch-up in many regards, Myanmar’s first mobile users will be smartphone first, skipping the feature phone stage, and smartphones are becoming ubiquitous, according to a report from NPR. It’s a far cry from just a few years ago when a SIM card could cost up to a $1,000. And coupled with burgeoning social media use, Myanmar could be a boon for social media services, namely payments. Online and social media payments could very well be the major market shift for Myanmar’s blossoming internet and smartphone users. 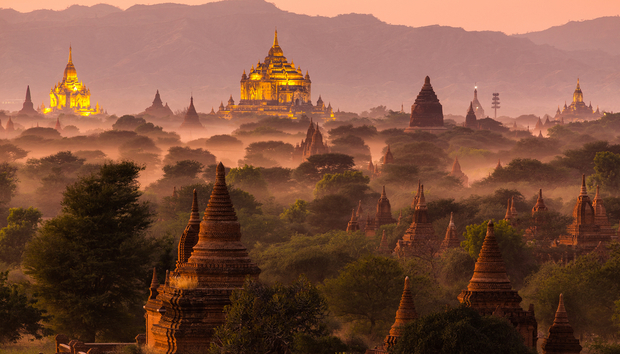 Myanmar payments platform MyPay has received investment from Singapore’s Fastacash to bring micropayments via social media to the country. MyPay works with local social media site MySQUAR and its app MyCHAT, which will eventually allow for micropayments on mobile. Currently the app has 1.5 million user accounts but just 50% of those are active at this time. “Myanmar is a largely unbanked country, with many having never had the opportunity to make instant transfers to family and friends or pay for items online,” Pham Dang Hung, COO and finance director at MySQUAR tells IDG Connect. While this service will be available to users domestically, Hung Pham sees the opportunity in connecting overseas workers with their families at home. Many don’t have bank accounts or access to channels like Western Union. This is a “huge need” that needs to be plugged, he says. “Myanmar is a huge country, with a great number of people moving away from their hometown to work in urban areas or oversea countries. The option to now send money back to families living very far away through mobile money will be of a huge advantage to them,” he says, adding that the country’s growing youth population will increase the adoption of new technologies. Around 47% of the population is under the age of 25, according to figures provided by Fastacash. With that in mind, MySQUAR says it has little worries about the infrastructure and the potential user base. Hung Pham adds that the company’s design and marketing teams have paid special attention to the app’s design for users new to the mobile experience. “Our app has built-in network resiliency, allowing it to connect and be functional where other apps will struggle to maintain an active connection,” he adds.